When's the last time you visited the Met - virtually or in person? There are social media marketing lessons to be learned from those interactions as Sree Sreenivasan shared during #BRITEconf 2015. 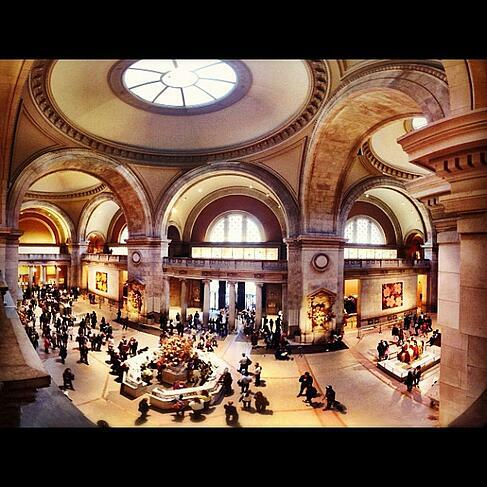 The Metropolitan Museum of Art in NYC is an amazing institution. It has history, remarkable works of art, endless cultural icons in a setting that brings ancient worlds to life, helps you understand context and generally elevates the soul. However, the Met has also had to figure out how to translate all of that culture in a way that captures people's attention and engages them. It's serious! According to Sreenivasan, there are 12 photographers at the Met to help capture all the wonders that happen there. The social media marketing team includes 70 people who handle blogging, email, podcasts, video (including flyapp.com to shorten videos). Luckily, the Met also has lots of images online that can be accessed and shared online. New Partnership Will Extend Free Online Learning Opportunities Globally. The Met offers free wifi via a simple form to capture emails. Visitors can skip it. Most don't. Sree's boss Thomas Campbell is on Instragram. He chose that over Twitter because it's more intimate and enables him to really connect with the Met's audience. 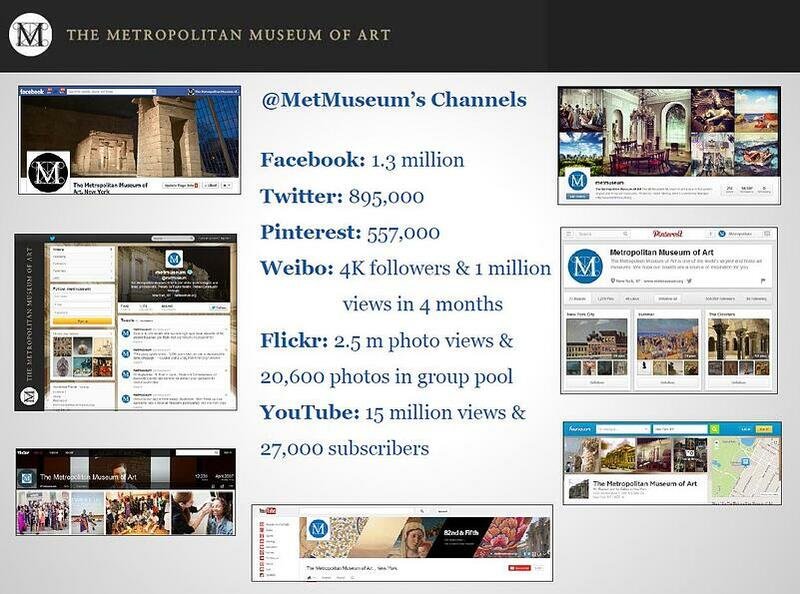 The Met is on lots of social media platforms. The numbers aren't what matter; rather it's about providing the platforms that are right for the Mets' different audiences. Every exhibit now has a hashtag so visitors can tweet about it. Although the audience is changing for everything, it remains curious. People love a peek behind the scenes. The Met has started to blog about new painting aquisitions, and how those will be fixed or prepared for viewing. Mobile is even more important than ever. Although new projects are wonderful and important, it's even more valuable to bring alive what is already done. Are there ways to get people to understand what you're already doing? How might you get them to see what you're doing? 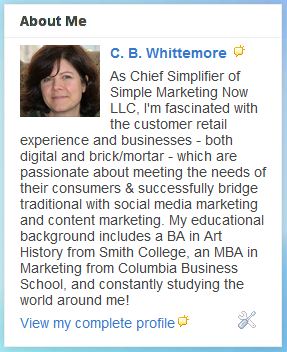 That's valuable to share via social media marketing. How can you tell stories to bring your product to life? Understand what's relevant to your audience. Make your audience feel special and inspired. Make sure that there's substance behind what you share socially. To put all this into perspective, look at how the Met uses its social platforms to share content, and look at the kind of content it shares on each platform. 25 boards and 1516 pins to date. Pinterest is the third highest social referral behind stumbleupon and facebook for the Met. 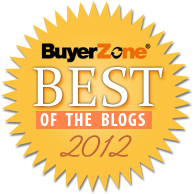 >> See Social Media Networks Roundup: Which Ones Matter to You? for perspective on Flickr and other social media marketing networks. 12 Locations: MDR, Nolen Library, The Grace Rainey Rogers Auditorium, Metropolitan Museum Steps, The Cloisters, etc. Met Lover Badge when you check in twice and follow the Met. I love how inter-related the content is from one platform to another and appreciate how it is customized to suit the individual networks. How do you manage your different social media marketing networks? How do you modify content for one platform vs. another? What lessons can you see applying to your business? Let me know in the comments.